#EngTalk: tentang TOEFL: sebenarnya apa tujuan tes TOEFL? What do you think about this news, fellas? Sebenarnya tujuan orang ambil tes seperti TOEFL itu apa sih? Ada juga yang pakai jasa ‘joki’. Kalau misal IELTS bisa tidak ya seperti itu? @febrian2w: test TOEFL syarat buat wisuda min. @okadanil: buat test IELTS gak bisa pake joki, karena bt masuk ruangan tes bakal sidik jari dulu, klo gak cocok ya gak bisa ikut tes. @marchelapratiwi: untuk memenuhi persyaratan spt beasiswa atau kerja min. Useless bgt kalau pake jasa joki..
@R_Dhewie75: Tes TOEFL itu bisa buat wisuda bisa juga buat persyaratan masuk CPNS min, IELTS gak bisa pakai joki Min. @widawadie: IMO, IELTS tesnya lebih menguji skill, karna jwban tesnya dlm bntuk isian bkn PG yg bs nebak2, dan ada sesi interview jg..
Seperti yang sudah admin RT, sudah tau ya apa kepanjangan TOEFL & IELTS. Walaupun dibuat oleh institusi yang berbeda, tapi tujuannya sama. TOEFL & IELTS itu ibarat kalau kita sakit, kita pergi ke dokter/ rumah sakit untuk minta didiagnosa bagian mana yang sakit/ bermasalah. Nah, TOEFL & IELTS itu alat diagnosa kemampuan/ skills bahasa Inggris kita, seperti listening, reading, speaking, writing, dsb. Di dalam TOEFL & IELTS bagian-bagian yang diujikan seperti: listening, reading, speaking, writing. Di situ didiagnosa kemampuan kita. TOEFL ada 2 jenis: PBT (Paper-based Test = menggunakan kertas) & iBT (Internet-based Test = online). Yang rawan joki/ kecurangan: PBT. Selain kadang bisa disusupi joki, sering ditemukan sertifikat TOEFL abal-abal aka palsu. Pastikan kita mengambil di perwakilan resmi. TOEFL PBT berlaku nasional, TOEFL iBT internasional. Sementara IELTS otomatis internasional. Di mana kantor perwakilannya? Silakan Google. Ada yang bertanya bedanya sama TOEIC? Tidak seperti TOEFL & IELTS yang biasanya dipakai untuk keperluan akademik, TOEIC digunakan sebagai ‘alat diagnosa’ dunia kerja. Siapa di sini yang guru? :) Tujuan belajar itu apa sih? Jelas bukan untuk menghadapi tes, tapi untuk pada akhirnya mempunyai pengetahuan & skill. Makanya itu TOEFL & IELTS itu sebenarnya bukan mata pelajaran yang harus dipelajari. Membiasakan diri dengan bentuk soalnya = boleh. Makanya itu kita ikut TOEFL/ IELTS preparation (persiapan) supaya lebih familiar dgn sistem, format ujian, bentuk soal, dsb. Gambar diambil dari buku TOEFL terbitan Kaplan. Intinya: pengen TOEFL bagus? Bahasa Inggris harus bagus dulu. Masih dari buku yang sama. ‘Belajar’ TOEFL saja tidak cukup. Tapi proficiency (kecakapan) secara menyeluruh = wajib. Q: Yang mana yang lebih bagus, TOEFL atau IELTS? | A: Di antara TOEFL & IELTS sebenarnya tidak ada istilah ‘yang lebih bagus’. Tiap institusi biasanya punya pilihan masing-masing. Q: @NurulNhasha_MS: Min dr td kan bhas yg TOEFL & IELTS.. Nah klo TOEIC sistemnya gmn min? :) | A: Coba baca penjelasan tentang TOEIC di Wikipedia ya: en.wikipedia.org/wiki/TOEIC. Q: @AnindiaNAzalia: toefl itu buatan amerika kan? Dan ielts itu british? Gitu bukan sih min? | A: bisa dibilang begitu. Q: tujuan ambil IELTS apa? | A: IELTS biasanya syarat kuliah/ permanent residency di Inggris, Australia, negara-negara Eropa & persemakmuran Inggris. Q: @ayyamame: punya nya TOEIC berguna ga tuuh? | A: berguna. Tergantung sekarang buat apa. Biasanya TOEIC dipakai di perusahaan-perusahaan untuk penerimaan karyawan. Q: @eriseryess: min kata dosen saya ada juga yg CBT tp karena sekarang jamannya udah berubah jd CBT saat ini gabung sama IBT. | A: Betul. Q: @SS_rafly: Miin can u help me, how to improve listening skill in TOEFL?” | A: @fathyrayyan: Bisa latihan jawab soal-soal Listening gratis di sini→ www.esl-lab.com. TOEFL stands for Test of English as a Foreign Language. It is for non-native speakers wishing to study in American universities. It assesses whether you can speak, read, understand & write English well enough to attend college in an English-speaking program. You might have heard of different formats of TOEFL test such as CBT,PBT & iBT. Let’s have a look at their differences. CBT stands for computer-based tests. PBT stands for paper-based tests. 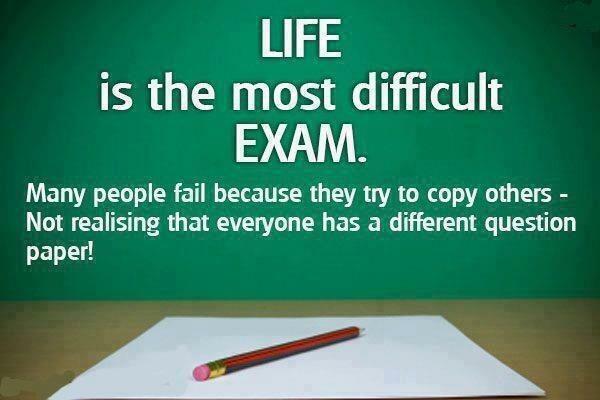 And iBT is the Internet-based test format of TOEFL. Today, PBT is used for local purposes only such as graduation prerequisite in certain university, scholarship prerequisite, etc. The official institution having the right to issue the test as well as the certificate is ETS called TOEFL ITP (Institutional Testing Program). ETS stands for Education Testing System. Other institutions are only allowed to conduct TOEFL test when designated or have official cooperation with ETS. TOEFL ITP test fee is Rp 300,000 but it may vary according to the institution policies holding the test. CBT (Computer Based Test) version of TOEFL is yet less popular amidst the other types, at least in Indonesia. CBT was discontinued in September 2006 and the scores are no longer valid. Since its introduction in late 2005, iBT has progressively replaced both CBT and PBT. iBT is today the only official TOEFL test recognized internationally. It is the official proof of your English proficiency. If you wish to study abroad, you would need to take the iBT format of TOEFL as it is the only internationally recognized format. Due to the reason stated in above, we will particularly talk about the iBT format of TOEFL. The 4 hour test consists of 4 modules and all tasks focus on language used in an academic, higher-education environment. The TOEFL reading module asks you to read 3 to 4 passages of university level and answer multiple-choice questions (MCQs) about them. The passages are on academic topics like those in undergraduate university textbooks. The passages aims to assess your understanding of rhetorical functions such as cause-effect, compare-contrast and argumentation. You will be facing MCQs on: main ideas, details, interference, essential information, sentence insertion, vocabulary, rhetorical purpose and overall ideas of the passage. You might even be asked to fill out tables or complete summaries. Each passage will be approx. 700 words in length and followed by 12-14 questions. You have 60-80 minutes to finish the module. The TOEFL listening module consists of 6 passages of 3-5 minutes in length, including 2 student conversations and 4 lectures/discussions. The situations are always related to university life for example a conversation on research materials or a marketing lecture. The questions are multiple choice and ask you about important details, inferences, tone and vocabulary. You may take notes while listening to the recording and refer to them when you answer the questions. The module aims to assess your ability to understand main ideas, important details, implications, relationship between ideas, organization of information, speaker’s purpose and speaker’s attitude. The TOEFL speaking module lasts for about 20 minutes. You will speak into a microphone and be recorded for later assessment. Two questions will be on familiar topics and ask you to give opinion or describe something familiar to you, like your town or favorite teacher. You will be evaluated on your ability to speak spontaneously and convey your ideas clearly and coherently. Two other questions will ask you to summarize information from a text and a conversation. You will read a short passage, listen to a lecture or conversation and answer question by combining appropriate information from the talk. The two last questions will ask you to summarize information from a short conversation. You will listen to a lecture or a conversation about campus life and then respond to question about what you heard. You may take notes as you read and listen and use them to prepare your response. The TOEFL writing module measures your ability to write in an academic setting. You will deal with 2 tasks. In the 1st task, you will read a passage and listen to a speaking discuss the same topic. You will then be asked to write a summary about the important points in the recording and explain how they relate to the key points in the reading passage. In the 2nd task, you are required to summarize information from a text and a lecture which often disagree with each other. You’ll need to write an essay that states, explains, and supports your opinion on an issue, supporting your opinions or choices. The iBT TOEFL test is scored on a scale of 0 to 120 points. Each module receives a scaled score from 0 to 30. Each university or institution often has a minimum TOEFL score requirement. One source stated an average required total iBT TOEFL score of 75 for undergraduate admissions and 82.6 for graduate admissions. #EngTalk: Tentang TOEFL – Sebenarnya apa tujuan tes TOEFL? So, today I will give new vocabularies for fellas. But I need your help to find the similar meaning of every #EngVocab that I give. Here is the rule for this session: guess the meaning of new vocabulary that I put in the brackets. Q1. The dry soil (imbibed) the rain quickly. Q2. The salesman was a (jocose) person. Q3. The old tree grows quite (knotty). Q4. That (lanky), overgrown boy looked very shy. Q5. Do you believe that human nature is (malevolent) ? Tonight admin will give some #EngVocab but I make it in #EngQuiz. I need you to guess the similar meaning from the new vocabulary that I put in the brackets. Q1. The road quickly (deteriorated) into a bumpy path. Q2. Government has been working hard to (elevate) people’s living standard. Q3. The proposal met with a (formidable) opposition. Q4. She is (gracious) toward those around her. Q5. The airport is mostly a scene of (hustle) and bustle. Today admin will give some new #EngVocab for fellas, but I make it in #EngQuiz. I need you to guess the similar meaning from the word that I put in the brackets. Q1. Nothing could ever (abash) him. Q2. A rich kid was (abducted) yesterday. Q3. (Blizzard) is expected this winter. Q4. To avoid making social (blunders), you have to be familiar with norms. Q5. The difficult allegro passages displayed her (consummate) skill. Q6. Enthusiasm is often (contagious). Q7. We had to make a (detour) because the main road was closed. Q8. A (devastating) war has impoverished Vietnam. 1. What year did you (graduate/graduate from/graduating/graduating from) university? 2. It seems to be getting worse. You had better (consult/consult to/consult for/consult by) a specialist. 3. Jakarta is a large city, (aren’t it/doesn’t it/won’t it/isn’t it)? 4. Don’t leave your books near the open fire. They might easily (catch to fire/catch the fire/catch on fire/catch with fire). 5. Do you enjoy (to swim/swimming/swim/to swimming)? 6. I have trouble (to remember my password/to remembering my password/remember my password/remembering my password). 7. Do you have (many work/much work/many works/much works) to do today? We could have a long lunch if not. 8. My brother will (provide us up/provide us in/put us up/put us in) for a few nights. 9. When will the meeting (hold on/hold place/take on/take place)? 10. The board meeting was held (at Tuesday/on Tuesday/with Tuesday/in Tuesday). Well since admin just did her ‪#toefl test, do you want to hear some tips that might be useful? I usually use a practise book, ada yang tahu? RT @vit99Lorenzo: btw min tau link untuk belajar toefl secara online g?? 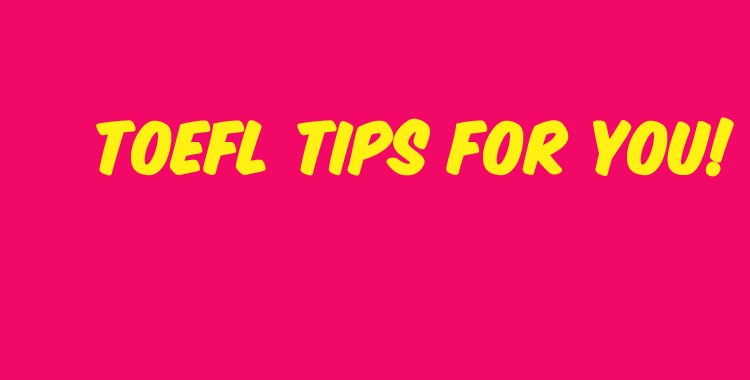 I hope today’s ‪#toefl tips been useful for you fellas and see you tomorrow :) Keep updated on/subscribe our blog too! G’nite! Fellas, ada yang sedang belajar TOEFL? #EngClass malam ini akan membahas tentang “appositive” yang seringkali muncul di soal TOEFL. Appositive: noun (kata benda) atau noun phrase (frase kata benda) atau noun clause (klausa kata benda) yang berfungsi memberi nama baru atau mengidentifikasi atau menjelaskan atau memberi informasi tambahan tentang noun atau pronoun (kata ganti) yang terletak tepat di sebelahnya. Ada dua jenis appositive: non-restrictive dan restrictive. Perbedaannya terdapat di jenis informasi yang terdapat di dalam appositive tersebut. Dalam non-restrictive appositive, informasi yang diberikan tidak penting dalam mengidentifikasi noun atau pronoun yang dijelaskan. Contoh non-restrictive appositive: “Andy, my brother, lives in Palu.” Tanda koma digunakan untuk membedakan appositive. Dalam restrictive appositive, informasi yang diberikan penting dalam mengidentifikasi noun atau pronoun yang dijelaskan. Contoh restrictive appositive: “My brother Andy lives in Palu.” Dalam appositive jenis ini tanda koma tidak digunakan. Salah satu sifat appositive adalah ia bisa menggantikan noun atau pronoun yang dijelaskannya. e.g. “Andy” bisa digantikan dengan “my brother”. Appositive (non-restrictive) bisa terletak di awal, tengah, atau akhir kalimat. The capital city of Indonesia, Jakarta is populated by approximately 10 million people. My friend Dewi loves learning English so much. Dewa, a good old friend of mine, will leave for Biak first thing in the morning. The most difficult language to learn is Basque, a language spoken in parts of Spain and France. The lady monster Lady Gaga will come to town. When we were kids, we played in a tree house, a house that’s built on a tree. Mars, the fourth planet from the sun, is also called the “Red Planet”. The smallest continent in the world, Australia was inhabited by indigenous Australians. Kartini, a member of an aristocratic Javanese family, was a prominent Indonesian national heroine. One of the most expensive foods is Almas caviar, an extremely rare and expensive type of caviar. Choose the right synonym of the word in the brackets. The criminal was asked to aid police in their (enquiry). The use of penicillin is (diffuse). He (pored over) the questions until he couldn’t keep his eyes open anymore. You will find the building at the main (intersection). He found the smell of the lotus blossom (repugnant), and asked for a different flower. His boss (streamlined) company procedures. Uncertainty about the economy is (widespread). His comments can be rather (harsh) at times. The issue (touched off) an argument between the two parties. You’d better get a few (winks) before tomorrow.